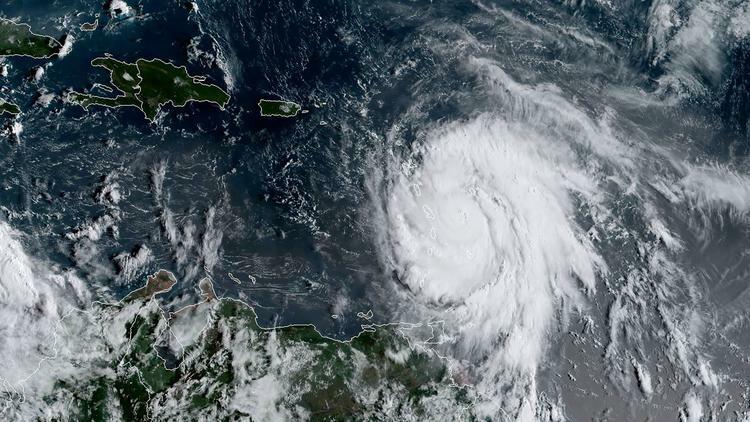 Hurricane Maria, a dangerous Category 5 storm, reached the island of Dominica in the eastern Caribbean on Monday night with sustained winds of 160 mph, forecasters said. It was expected to deliver destructive waves, a storm surge of up to 9 feet, flooding and mudslides along a path that the National Hurricane Center said includes Guadeloupe, the Leeward Islands, the U.S. Virgin Islands and Puerto Rico. The storm was moving northwest at 9 mph Monday night as it struck Dominica, a nation of roughly 74,000 people located less than 400 miles southeast of Puerto Rico. Landfall there was expected as soon as late Tuesday. Puerto Rico Gov. Ricardo Rossello declared a state of emergency Monday, activated the National Guard and closed all schools. Public Security Secretary Héctor Pesquera was more blunt: “Flood-prone areas must be abandoned," he said. “If not, you will die." The Puerto Rico Housing Department said there are 450 emergency shelters available with space for 62,714 people. Residents in the capital of San Juan lined up with stranded tourists and evacuees from other Caribbean islands Monday to vie for hurricane staples in short supply: cases of water, flashlights and generators. In the historic seafront neighborhood of Old San Juan, workers boarded up windows and hotel managers tested emergency alert systems and warned guests that power and air conditioning would likely fail during the storm. Their hotel, the Sheraton, had a backup generator and was well-stocked with food, a manager told them. Maria would be the second major hurricane to affect Puerto Rico in two weeks. Much of the island is still without power from Hurricane Irma, which passed nearby earlier this month. “The Government is in constant communication with the White House and federal agencies since before the passage of Hurricane Irma last week,” Carlos Mercader, the governor’s representative in Washington, said in a statement. 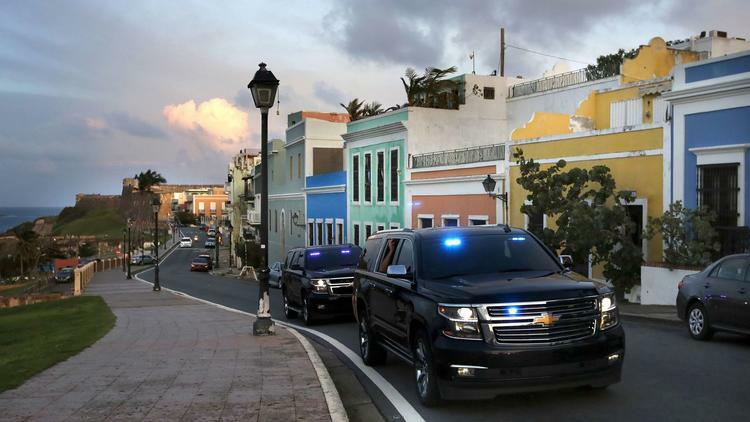 On Monday, President Trump approved an emergency declaration in the U.S. Virgin Islands in order to provide federal assistance in the aftermath of Hurricane Maria. It’s been an especially dangerous hurricane season this year. In August, Hurricane Harvey made landfall in Texas as a Category 4 storm, with winds reaching 110 mph. A few weeks later in September, Hurricane Irma made landfall in the Caribbean as a Category 5 storm, devastating Barbuda and St. Martin with winds reaching 185 mph. Etehad reported from Los Angeles and Hennessy-Fiske from San Juan. 0 Response to "Hurricane Maria grows into a Category 5 storm and makes landfall in the storm-battered Caribbean"